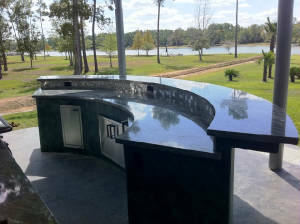 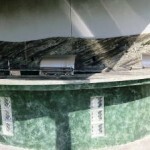 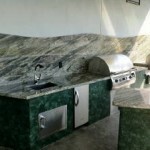 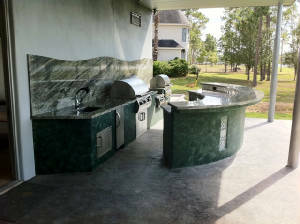 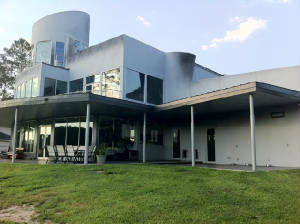 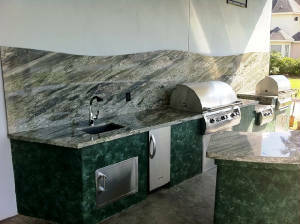 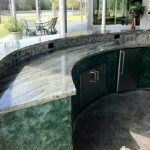 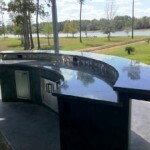 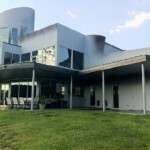 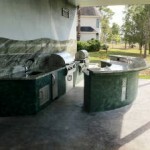 July 2012 – Here is a beautiful Outdoor Kitchen! 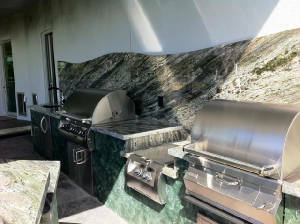 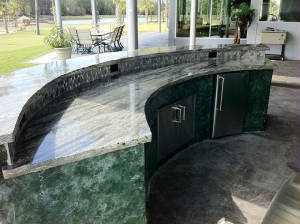 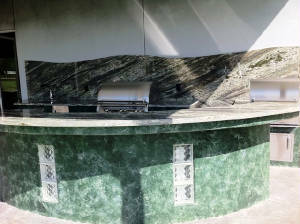 This is a very interesting outdoor kitchen complete with Stucco, Lighted Glass Block, and Gorgeous Granite. 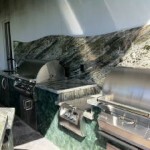 The kitchen has all the appliances you can dream of: FireMagic 790i Grill, FireMagic Charcoal Grill, FireMagic Power Burner, Custom Sink, KitchenAid Ice Maker, FireMagic Trash Drawer, and FireMagic Fridge.